Congrats to these Affiliates makingÂ news! 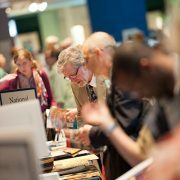 Each month we highlight Affiliate-Smithsonian and Affiliate-AffiliateÂ collaborations making headlines.Â If you have a clipping highlighting a collaboration with the Smithsonian or with a fellow Affiliate you’d like to have considered for the Affiliate blog, please contactÂ Elizabeth Bugbee. 11 Smithsonian Affiliates, additional world-class institutions, and private collections, including the Rock & Roll Hall of Fame and Museum, bring the 1960s to life with artifacts from the Cold War, Civil Rights Movement, Woodstock, and more. Ollie up for All Decked Out at Polk Museum of Art: Skateboarding art and more celebrate the sport in Lakeland this summer. This summer, the city of Lakeland kicks off a local version of the event, Innoskate Lakeland, which will feature a similar lineup of attractions â€” from a skateboard obstacle course to panel discussions â€” at the newly constructed Lakeland SkatePark on Lake Bonny. The Polk Museum of Art, an affiliate of the Smithsonian, also anchors the celebration with an exhibition of skateboard inspired art, already on view, called All Decked Out! The museum’s show is part of Innoskate 2014, a festival sponsored by the Smithsonian Institute to share skateboard culture’s creative spirit with public audiences. Innoskate Lakeland, the local, affiliated event sponsored by the city of Lakeland, will be celebrated June 21, Go Skateboarding Day. May 10 is also photo and video capture day for â€œA Day in the Life of Asian Pacific America,â€ a crowd-sourced online exhibition organized by the Smithsonian Asian Pacific American Center and Flickr. The museum encourages people to upload their photos and videos to the #LifeAPA Flickr group. The Alaska Airlines Aerospace Education Center, to be located in the Museum’s T.A. Wilson Great Gallery, will be a resource center where teachers, parents, and students will be able to explore the many K-12 education programs offered at the Museum. Andrew Johnston, geographer and curator at the Smithsonianâ€™s National Air and Space Museumâ€™s Center for Earth and Planetary Studies, collaborated with other organizations to create the travelling exhibit Earth from Space, featuring 40 beautifully detailed satellite images of the planet…Now on temporary display inside the Clyde W. Tombaugh Theater at the New Mexico Museum of Space History, Earth from Space explains in stunning detail how satellite imagery is gathered, explores the remote sensing technology used to gather the images, and discusses the individual satellites whose images are on display. Sometimes however something comes along that is truly deserving of a rapturous round applause when a subsidiary of an international logistics behemoth, FedEx Custom Critical, safely transported the remains of a rare Tyrannosaurus Rex from the Museum of the Rockies in Bozeman, Montana way east to the Smithsonian National Museum of Natural History in Washington, D.C. Farmers, Builders, Warriors: The Hidden Life of Antsâ€ debuted Thursday at the museum on Starling Avenue in Martinsville during a reception for invited guests. The exhibit includes close-up photos taken by Dr. Mark Moffett, a research associate in the entomology department at the Smithsonian Institutionâ€™s National Museum of Natural History, of ants in their natural habitats. 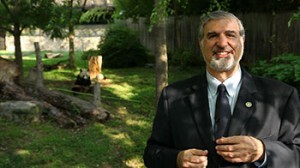 Kurin will be in Pierre on Monday, May 5, to talk about his latest book, â€œThe Smithsonianâ€™s History of America in 101 Objects.â€ His list includes everything from fossils and archaeological objects from 500 million years ago to a fragment of Plymouth Rock and Kermit the Frog. The stop in South Dakotaâ€™s capital, arranged by the South Dakota State Historical Society Museum, which is a Smithsonian associate, is part of a series of presentations Kurin is giving across the country about select items from the instituteâ€™s collection. 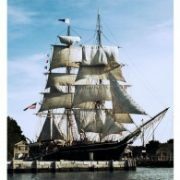 And now, the Charles W. Morganâ€”the last remaining wooden whaling ship in existence, and the most treasured possession of the Mystic Seaport Museum, a Smithsonian Affiliateâ€”will set out on her 38th voyage. The textile museum will be one of only six museums across the country, all Smithsonian affiliates, to contribute to an exhibit next year called “Places of Invention,” which will range from today’s Silicon Valley to yesterday’s Lowell, which was at the heart of the Industrial Revolution. Unger has been working on assembling three videos of about five minutes each to tell Lowell’s story, and is basing that portion of the Smithsonian exhibit on the textile museum’s former “Inventing Lowell” exhibit. 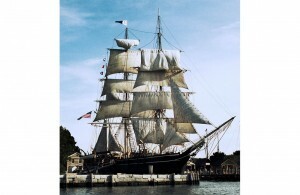 https://affiliations.si.edu/wp-content/uploads/2014/05/chasmorganship-300x195.jpg 195 300 Elizabeth Bugbee https://affiliations.si.edu/wp-content/uploads/2019/03/si_Affiliations_rgb_single-line_color-280w-1.jpg Elizabeth Bugbee2014-05-28 12:16:262017-03-10 17:50:39Affiliates in the news! 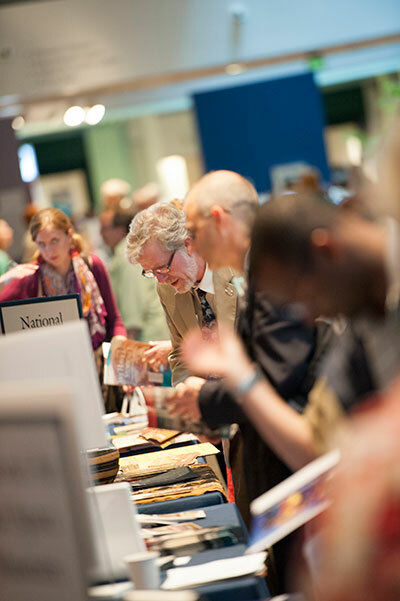 We’ve gathered nearly 30 Smithsonian offices, programs and museums to give Affiliate conference attendees the opportunity to meet staff one-on-one during the Smithsonian Resource Fair on Tuesday, June 24. Many offices have new programs looking for partners, new exhibitions looking to travel, new digital learning programs to share online and new resources to share with the Affiliate network. All registered 2014 Smithsonian Affiliations National Conference attendees are invited to start their day with breakfast at the Holiday Inn-Capitol and then meet with Smithsonian representatives at the Resource Fair. And donâ€™t forget to stop by the CrowdTorch by Cvent table and learn more about our new Smithsonian Affiliations Conference app! Mobile app provided by CrowdTorch by Cvent. 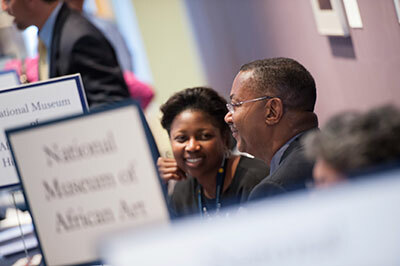 The Smithsonian Affiliations National Conference is for current Affiliates only. If you are interested in becoming an Affiliate, or have an application in progress and would like to attend the Conference, please contact Elizabeth Bugbee for more information. New for the 2014 Affiliations National Conference is a mobile app to keep all conference activities at your fingertips. Access all the information you need during the conference on your smartphones and devices.Â This new feature is generously provided by CrowdTorch from Cvent. The app will include an online agenda and a note section that allows attendees to take notes inside the app and email the document to save or share with colleagues. Speaker bios are linked to conference sessions for easier planning during the event. Meeting locationsÂ have been formatted in a google map so users can easily get directions from any location around the National Mall. The app is loaded with time saving information and tools right at your fingertips! Smithsonian Affiliations National Conference app will be available from the App Store in mid June. Stay tuned for updates so you can download the App before the Conference. https://affiliations.si.edu/wp-content/uploads/2014/05/app_preview.gif 692 350 Elizabeth Bugbee https://affiliations.si.edu/wp-content/uploads/2019/03/si_Affiliations_rgb_single-line_color-280w-1.jpg Elizabeth Bugbee2014-05-28 10:16:132017-03-10 17:50:39Affiliations has gone mobile! Photo courtesy Donald E. Hurlbert / Smithsonian Institution. 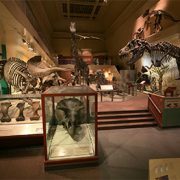 On April 28, 2014, the National Museum of Natural Historyâ€™s Fossil Hall closed to the public to begin a 5-year renovation. The Hall will undergo the largest and most complex renovation in the Museum’s history. The new exhibition will showcase the Museumâ€™s unrivaled fossil collection and present the most current scientific research. New fossil displays and scientific stories, informed by the most current research, will give fresh meaning to ancient life. And new techniques for fossil display and collections management enable researchers to tell new stories with historic specimens. Visitors to the new hall will explore how life, environments, and ecosystems have interacted to form and change our planet over billions of years. Many museums are in similar situations when determining how to upgrade a popular exhibition space. Meeting 21st-century technology demands, presenting the most current scientific research as well as incorporate the latest educational programs in an inviting and accessible way are all things to consider when reinvigorating an exhibition space. 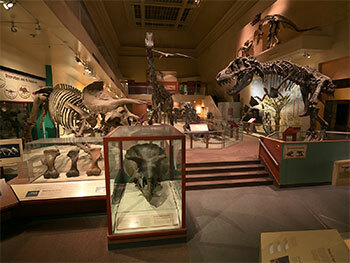 At the 2014 Smithsonian Affiliations National Conference, Affiliate attendees will have the opportunity to learn from the NMNH staff organizing and executing the Fossil Hall renovation. Those in attendance will share their own experiences and take away ideas for reshaping a new story in old exhibits. 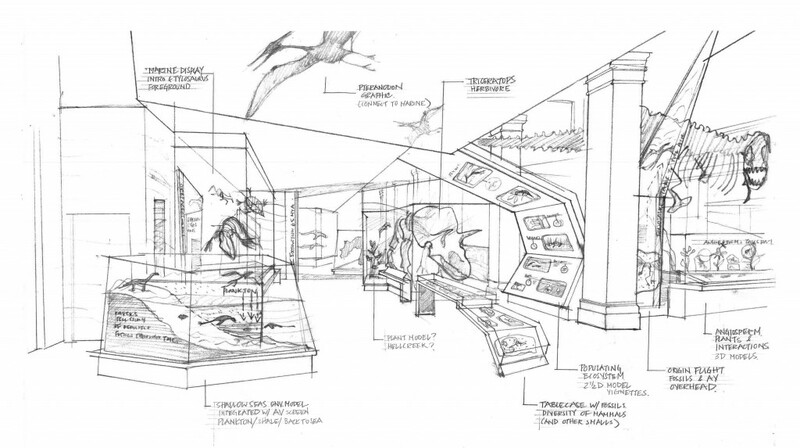 The session, The Evolution of a Fossil Hall: Bringing a Modern Lens to an Ancient Story, takes place at the National Museum of Natural History on Wednesday, June 25. All registered Affiliate attendees are welcome to join. Thereâ€™s still time to register to attend the Affiliations National Conference and discover something new!